Few things are as satisfying as letting a well aimed arrow fly from your bow. 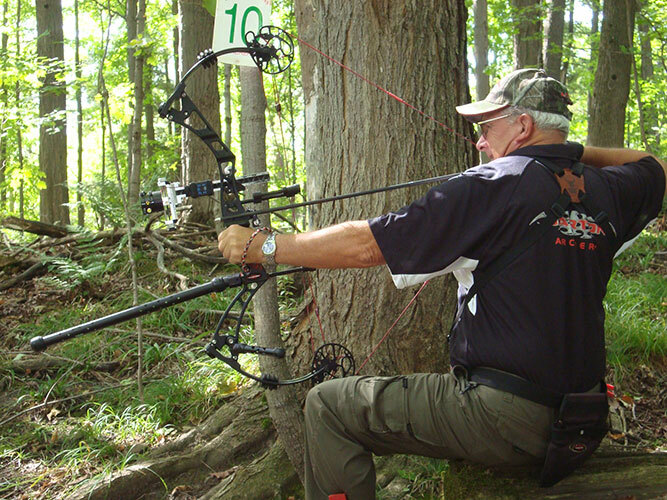 If you are looking for archery instruction in the Durham region, certified coach, Alex Taylor is your man. Archery is a safe sport when taught by a certified coach. Safety rules and procedures are covered during the first lesson and continually reinforced at subsequent sessions. Whether you are a first timer or training professionally, Alex has the experience and training to help you achieve your goals. A successful lesson is when you leave with a smile on your face. While it is important to develop the technical skill of archery, it is equally important that you have fun doing it. Introduced to archery by his daughter more than 20 years ago, he found a sport that he could relate to and enjoy. 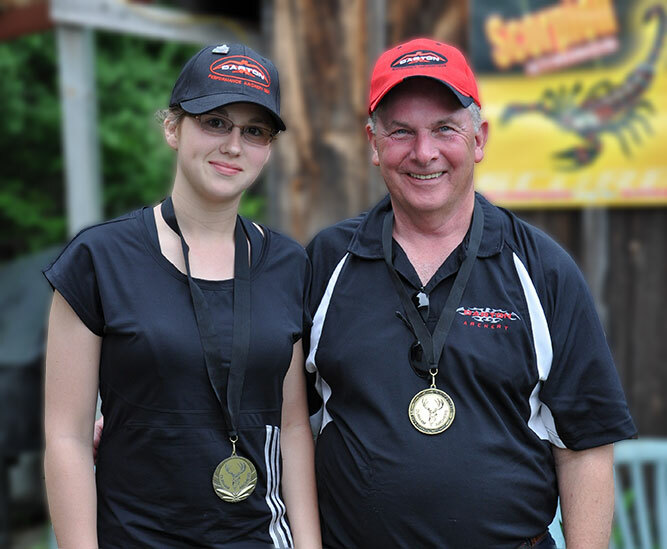 Alex moved from novice to competitive shooting both in Canada and the United States of America. 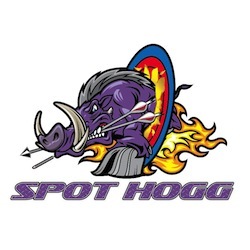 To ensure he was fully grounded in the sport, he attended the PSE Shooter School, the PSE Technical School and completed a Technical Dealer Training Program for Easton Arrow Shafts. 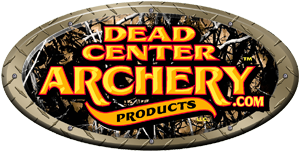 This led to the birth of Woods North Archery, a family operated business that was established to allow Alex to share his enjoyment and knowledge with others. 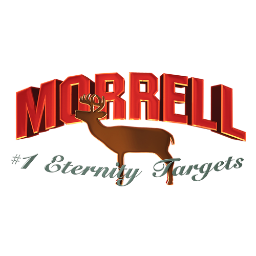 As a Certified Coach he is dedicated to teaching adults and children the art of archery. 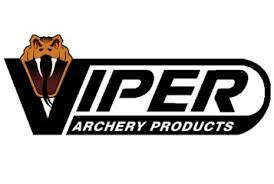 He maintains a shop fully equipped to fulfill the needs of a novice or expert archer. Repairs and/or set ups are performed by a factory trained technician. Alex began coaching Sasha in the fall of 2009. In the summer of 2010 she shot her first competition in 3D archery. 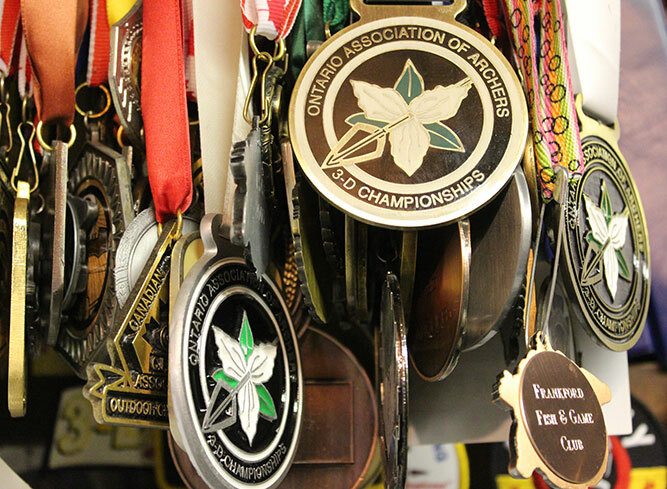 Not too long after she started shooting indoor FITA and IFAA tournaments as well. She became a trained level 1 archery coach in January 2013.  Evenings, from 5:30 PM to 9:00 PM, Mondays, Tuesdays, Wednesday and Thursdays. Woods North Archery coaches archers from age 6 and up. You are never too young or too old experience the joys of archery. 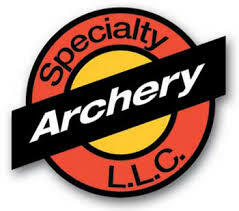 In September 2012, out of the blue, my 12 year old son Andrew announced that he wanted to take archery lessons. Being a single mom with absolutely no clue about the sport, I started doing some research online and came across Alex Taylor who agreed to take Andrew on as a student. Alex took my son under his wing, became a friend and mentor, and in a very short period of time Andrew improved his skills and self- confidence and started competing in both indoor and 3D archery tournaments with much success. Rather than just sit back and watch my son at his regular practices, I too decided to take up the sport, and with Alex’ amazing coaching skills, I am actually getting quite good myself and hope to compete in the summer 3D tournament season. Like many kids these days my son is a gamer and while we both enjoy playing video games together, I wanted Forest to experience a hobby that wasn’t dependant on electronics. Being an imaginative 5 year old, he immediately took to archery and Alex and Sasha made sure he had a safe and fun experience each week. While he hasn’t entered any competitions yet, he certainly gets a confidence boost from popping smaller and smaller balloons with his shots. Forest is proud that his archery skill is unique among his first grade classmates and his friends love seeing pictures of him with his recurve bow. Mikayla is to be congratulated on a tremendous accomplishment. She started her training in October of 2012. 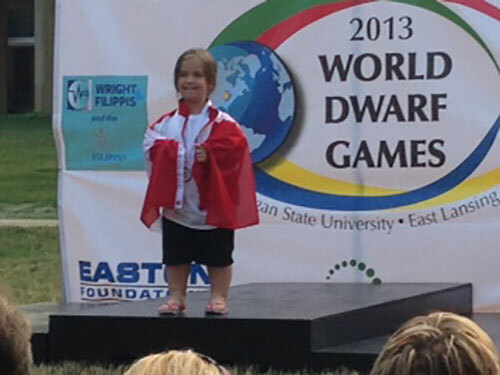 With much enthusiasm and hard work she reached her goal at the 2013 World Dwarf Games held at Lansing Michigan, U.S.A. from Aug. 7 – 10th, 2013. Mikayla was a delight to coach. She came to each archery lesson with determination and joy. We wish her all the best in her future goals. 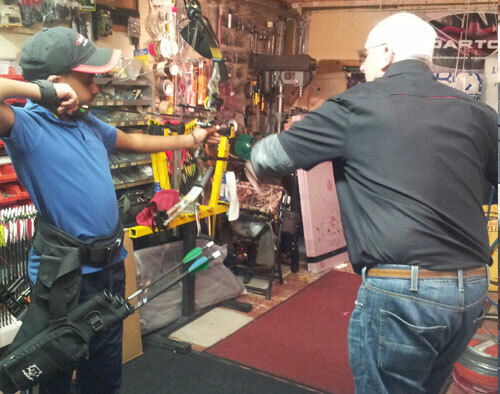 Alex at Woods North Archery has made learning archery fun for my 12 year old. Alex is patient and thorough with his students making sure that the student not only learn the art of the sport but have fun doing it. Call or email today for availability!